“Total cost of ownership” (TCO) is often underestimated, sometimes grossly, when calculating costs of ICT in education initiatives in developing countries. Estimates of initial costs to purchase equipment to overall costs over time vary widely; typically they lie between 10-25% of total cost. That said, there is a dearth of reliable data, and useful tools, to help guide education decision makers in their assessments of the true costs of educational technology initiatives. 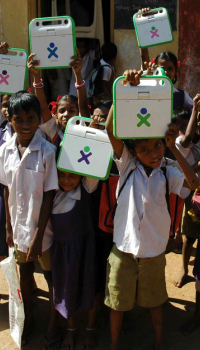 A recent whitepaper from Vital Wave Consulting, “Affordable Computing for Schools in Developing Countries: A Total Cost of Ownership (TCO) Model for Education Officials“, and accompanying case study of ICT in education initiatives in India, provide further insight and perspective on this important and often controversial issue. The white paper discusses key issues related to technology use in education and presents several major findings. At the same time, we now have an update to the TCO Tool for schools developed by the Global e-Schools and Communities Initiative (GeSCI) and Mr. Camfield. This tool, “Deploying 1:1 educational models in large scale: a practical budgeting tool based on TCO“, is currently being utilized as part of planning processes in Rwanda, drawing on lessons learned from its earlier use elsewhere in Africa, most notably in Namibia.